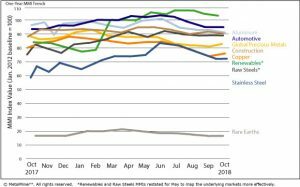 Another month has come and gone, and MetalMiner’s October Monthly Metals Index (MMI) report is out. 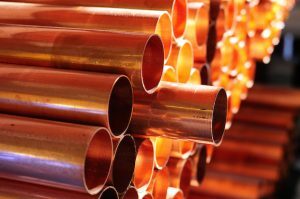 This month’s report featured four subindexes posting declines, four standing put and just two posting increases (Copper and Global Precious). 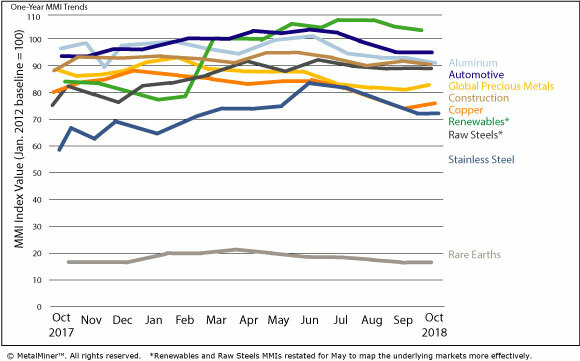 Aluminum prices surged then drifted back down early this month following news surrounding Norsk Hydro and its Alunorte alumina refinery. The Copper MMI, one of two MMIs to increase this month, reflected a recovering copper price. After a sluggish summer, the metal has recovered of late, recently breaching the $6,000/mt benchmark. It was a down month for several big automakers in terms of U.S. sales. U.S. construction spending in August was up 6.5% from August 2017 spending.